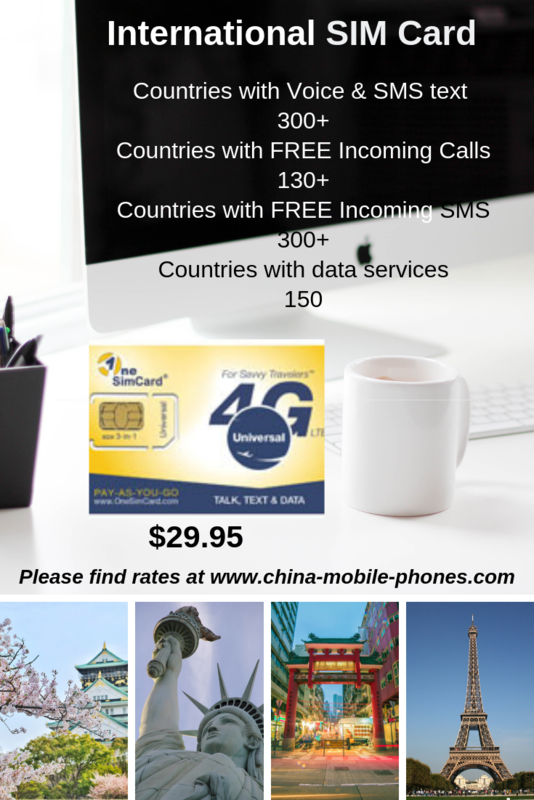 We have updated our partner's Global SIM Card here. A Global SIM Card (UWT) is an advanced roaming product that allows international travelers to bypass extremely high roaming fees charged by mobile phone operators. The SIM card comes ready to use with any unlocked GSM phone and with a personal phone number. If you have a locked compatible GSM phone, you can easily unlock it. To do so, visit unlock cell phone guide. The SIM Card will remain active 15 months from the initial purchase date. Every recharge will extend the activation for an additional 15 months. 1. How does the service work? 2. What are the requirements to use Global SIM cards? 3. How do I know if my cell phone is GSM? 4. How do I know if my cell phone is not unlocked? 5. How do I make a call? 6. How do I check my SIM balance? 7. How do I recharge my SIM card? 8. Can I use the Global SIM card to send SMS? 9. Will my credit expire? 10. Can I have a voice mail with the service? 11. Do I have to pay connection, weekly or monthly fees? 12. What will be my new mobile phone number? 13. How long will it take for my SIM order to be delivered? 14. Can I receive SMS messages even if my call credit reached $0.00? 15. Can I receive calls in those countries with free incoming calls even if my call credit is $0.00? 16. Can I receive text messages from my US local/toll free or UK local numbers? 17. Can I use a recharge PIN to add more call credit to my Global Mobile SIM even if my call credit reached $0.00? 18. How can I reach customer service? The GlobalSIM card Mobile service works by inserting a SIM card (small chip) into an unlocked GSM phone. When making calls, the system uses a simple call back process to connect you to destination. Although it is slightly different from regular way of dialing out, it is a very simple process! 1. Insert your the SIM card into your mobile phone and turn the phone back on. The SIM card slot is usually behind the battery. Remove your current SIM card and replace it with your new Global SIM card. It might take a few seconds for the handset to find a mobile network; as soon as it does, the service is ready to use. Note: If the phone asks for the PIN number, enter the default PIN number "0000" and click "OK". To avoid entering the PIN every time you turn on your phone with the SIM card, change the PIN setting from your phone's SIM options menu. 2. Dial the phone number of the person you wish starting with "+" or "00" and followed by the country code and the phone number and press the "Call" or "Send" key. 3. Your handset will display a "Calling" or "Wait for Call" message and start ringing in few seconds (certain phones may display a different message such as call cannot be processed, etc. Just wait until your phone starts ringing). 4. Answer the call as you usually do and you will be connected in few seconds to the number dialed. All you need is an unlocked GSM world phone that will operate in the network of the countries you will be visiting. In order to find out in which frequencies your mobile phone operates, please check your phone's user manual or contact your mobile service provider. In the US, ATT and T-Mobile operate GSM networks. Please refer to your phone's user manual or contact your mobile service provider to find out in what technology and in which frequencies your mobile phone operates in. "Insert SIM", "SIM not valid"
1. Dial the phone number of the person you wish to reach starting with "+" or "00" and followed by the country code and the phone number and press the "Call" or "Send" key. 2. Your handset will display a "Calling" or "Wait for Call" message and start ringing in few seconds (certain phones may display a different message such as call cannot be processed, etc. Just wait until your phone starts ringing). 3. Answer the call as you usually do and you will be connected in few seconds to the number dialed. 1. Dial 099 and press the "Call" or "Send" key. 2. Choose "Check Balance" from the Global SIM Mobile menu in your phone. 3. Dial *146*099# press the "Call" or "Send" key. Note: Certain phone models may not support direct SMS sending through phone's SMS menu. In this case, you can always use the Global SIM Mobile menu to send a text message as an alternative method. Remember, using the Global SIM Mobile menu to send your SMS is always cheaper than using your phone's direct SMS menu. Your Global SIM card comes with a 15 months of validity from the date of purchase. Every recharge will extend your validity for another 15 months. Yes, voice mail is free and available upon request. NO!. With Global sim card there are no hidden charges as some of our competitors do. We DO NOT charge any connection, weekly or monthly fees. With the purchase of Global SIM, you will receive an Estonia mobile phone number which can be dialed from anywhere to reach your mobile phone while you are travelling. Delivery time will depend on the shipping option you chose at the time you placed the order. Please consult the link provided in the confirmation letter for order tracking purposes. Yes, you can continue receiving calls in those countries with free incoming calls even if your call credit balance is $0.00. No, text messages cannot be transmitted to your cell phone if sent to your local or toll free number. You can ONLY receive text messages if they are sent to your original Global SIM card phone number. 17. Can I use a recharge PIN to add more call credit to my SIM card even if my call credit reached $0.00? Yes, you can use a recharge PIN to add more credit to your Global SIM card even if your call credit balance is $0.00. You can either dial our main contact number +1 561-276-7156 or simply choose "customer service" from Global SIM Mobile menu. Please note that contacting customer service from your mobile phone will generate a charge for calling USA.